Product categories of 1MP 720P Outdoor Camera, we are specialized manufacturers from China, 1MP 720P Outdoor Camera, 1MP 720P Outdoor House Cameras suppliers/factory, wholesale high-quality products of 1MP 720P Outdoor Security Cameras R & D and manufacturing, we have the perfect after-sales service and technical support. Look forward to your cooperation! 1MP 720P Outdoor Camera has IP66 waterproof function, no need to warry the waterproof IP camera meet heavy rain or drop into water. The Outdoor Security Cameras second excellent function is motion detection. Once the motion is detected, the network camera will send alert to phone or PC, and record automatically in Micro SD card storage. also supports alarm like Email, FTP, and GPIO etc. Of course, it is wildly application for home/supermarket/school/company etc. 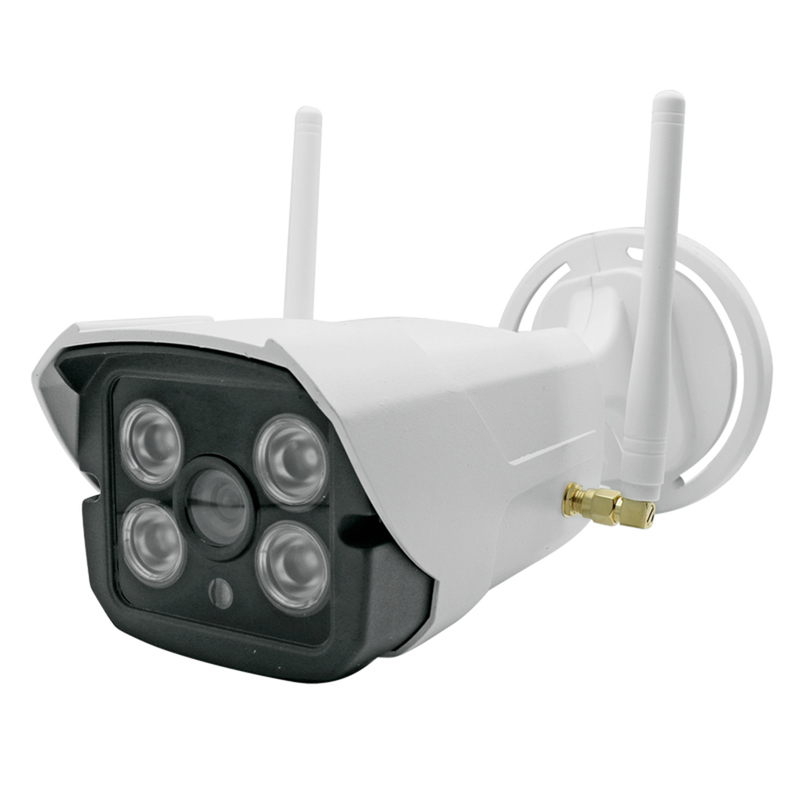 The wireless outdoor security cameras with auto zoom lens, support 4 times optical zoom and auto focus great for detailed security footage.